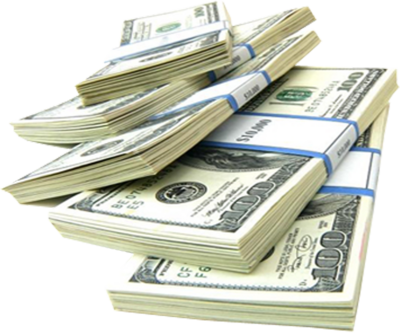 If you need advice as to which money spell is best for you or if you have already placed an order please contact us at info@witchcraftmagicspells.org. What do we need to cast a money spell? Name of lottery game spell is to be directed towards. Description of current situation and what the desired outcome is. Description of desired outcome including company name and city where it operates. All information can be emailed to us at info@witchcraftmagicspells.org either before or after placing an order. We will confirm your order within 24 hours. Do you play the stock market and want your stocks to go up? This spell is directed to help increase profits and luck in the stock market. It can work for both short term and long term financial goals. It can work for retirement plans that are invested in the stock market. Tell us what your needs are and we will customize a spell to produce that outcome. Do you like playing scratch off tickets and want to give yourself an advantage? This spell is directed towards one specific scratch off game of your choosing. Once the casting has been completed buy a couple of tickets for that game every week until you experience a nice win. Do you like to gamble? This spell will give you a boost in luck when you are at the casino. You will win more often and larger amounts. It does not cause you to win at everything you play but you will see an increase in gambling winnings overall. Is gambling something that you love to do? This spell is double the strength of the Better Odds Gambling Spell. It will help you bring in higher wins more often when you go to a casino. It is a permanent spell and will stay with you for years to come. Would it be beneficial to your business to attract the right kind of customers? A good customer is a repeat customer and appreciates the products and services your business provides. This spell will attract good quality customers to your place of business. Wouldn't it be nice to feel prosper financially? The Prosperity Spell will help increase finances in all aspects of your life. It can come in the form of a raise at work, increasing sales for your business, more luck with gambling, stocks increasing and more. This spell will make prosperity show itself in your life. Have you ever felt like you were destined to win the lottery in some way, shape or form? This spell can be targeted towards one of the larger lottery games. After it has been cast we recommend playing a few quick picks per week. It will bring in one nice win within the given time frame. This spell is an excellent choice for people looking to boost their financial situation. Do you own or run a business that needs something specific? This spell is customized to your specific business needs. Ever feel like you need a boost in your career? Moving up in your company and getting that promotion faster leads to long term success. Give yourself a nice advancement in your career with this spell. Do you need a job? The Get Hired Spell will help you get a job offer quicker that is satisfying. Apply for job openings regularly and a good offer will come your way with this spell in place. Want a spell that helps with both the lottery and gambling? This combination spell will bring more wins more often when it comes to both gambling and playing the lottery. It is cast over the course of an entire week because a lot of energy goes into it which is what makes it strong and effective. This spell is double the strength of the extreme lottery and gambling spell. It works with both gambling and lottery winnings to bring in larger wins more often. It lasts a lifetime and is an excellent investment! This spell is good to get someone to pay you back the money they owe you. It will get them to take the debt more seriously and make paying it off a high priority. Do you need to find a buyer for your real estate? The sell your house spell will attract a qualified buyer to close the deal. This spell also works with finding a buyer for a business that is for sale. Do you or someone you know have issues with being responsible with money? This spell will help the intended person it is directed towards to become more responsible with money.